Crossrail visits Wales to urge firms to seize business opportunities - Crossrail . For information about the Elizabeth line please visit the Transport for London website. Cardiff-based company, Celsa UK, has provided more than 50,000 tonnes of steel to Crossrail. Welsh Government Economy Minister Edwina Hart and Crossrail Chairman, Terry Morgan, will today urge companies from Wales to seize the business opportunities that Europe’s biggest construction project has to offer. Crossrail is the £14.8 billion project to build a major new rail link across London, including 26 miles of tunnels underneath the streets of the capital. On a scale nearly twice the size of the Olympics, the project is creating jobs and business opportunities right around the UK as companies from Cornwall to Scotland win work. An event, being held in Cardiff with Business Wales, will be attended by business representatives from across the country. Delegates will get the chance to find out how to win work on Crossrail and to hear from two of the project’s major contractors, Costain Skanska and Bam Ferrovial Kier (BFK). Terry Morgan and Edwina Hart will also visit Celsa UK. The Cardiff-based company has provided more than 50,000 tonnes of steel to Crossrail. Much of this steel is sent to a subsidiary company, Express Reinforcements, with depots in Cardiff, Neath and Newport. 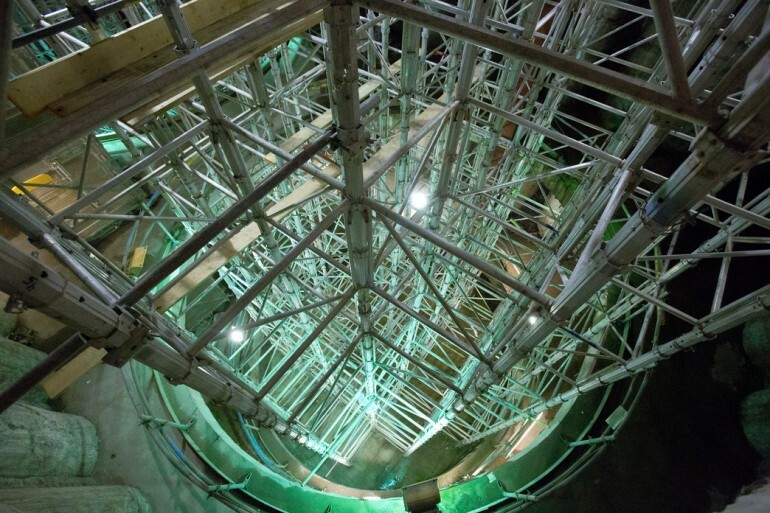 This firm manufactures steel cages to reinforce concrete which have been used at ten Crossrail sites. The work has resulted in the creation of 80 temporary jobs and many more have been preserved. It is estimated that Crossrail will generate at least 75,000 business opportunities and support the equivalent of 55,000 full time jobs right around the UK. Three out of five businesses currently winning work on the project are based outside London and over half (58%) are SMEs. Terry Morgan, Crossrail Chairman, who grew up in Cwmbran, said: “As a Welshman, I’m incredibly proud that steel produced in Cardiff is playing a significant part in the construction of London’s new rail link. Luís Sanz Villares, General Manager at CELSA Manufacturing UK said: “We are immensely proud to be involved in such a prestigious project as Crossrail, currently the most significant European infrastructure construction project. Having had our steel used in many major constructions over the last years (including the Olympics and Heathrow Terminal 5) we are contributing to a network that will be a permanent feature in the transport of millions of people for many years to come. The total funding available to deliver Crossrail is £14.8bn. The Crossrail route will pass through 38 stations and run more than 100km from Maidenhead and Heathrow in the west, through new twin-bore 21 km (13 miles) tunnels below central London to Shenfield and Abbey Wood in the east. Crossrail is being delivered by Crossrail Limited (CRL). CRL is a wholly owned subsidiary of Transport for London. Crossrail is jointly sponsored by the Department for Transport and Transport for London.